We absolutely love being a part of the best day of your life! We work diligently to ensure that you are happy with everything! Your wedding deserves the best cake and dessert table. That’s where we come in. We specialize in providing custom cakes and dessert options for your big day. Here you’ll find a guide to the wedding catering process at The Queen’s Cups. Looking for cupcakes, cake, or a dessert bar for the big day? We advise you to book your tasting at least 6 months’ in advance. The first tasting is complimentary. For cupcakes, you can choose up to 6 flavors you want to try. For cupcakes and treats, you can choose up to 4 cupcake flavors and 4 treats to try. To find our cupcake flavors and treats, check out our Facebook posts with our flavors (they change every day!). Once you’ve scheduled your tasting, you’ll head to us to do your tasting at TQC or you can bring them home to enjoy! Any additional tastings would be at full cost of the cupcakes and treats you are trying. 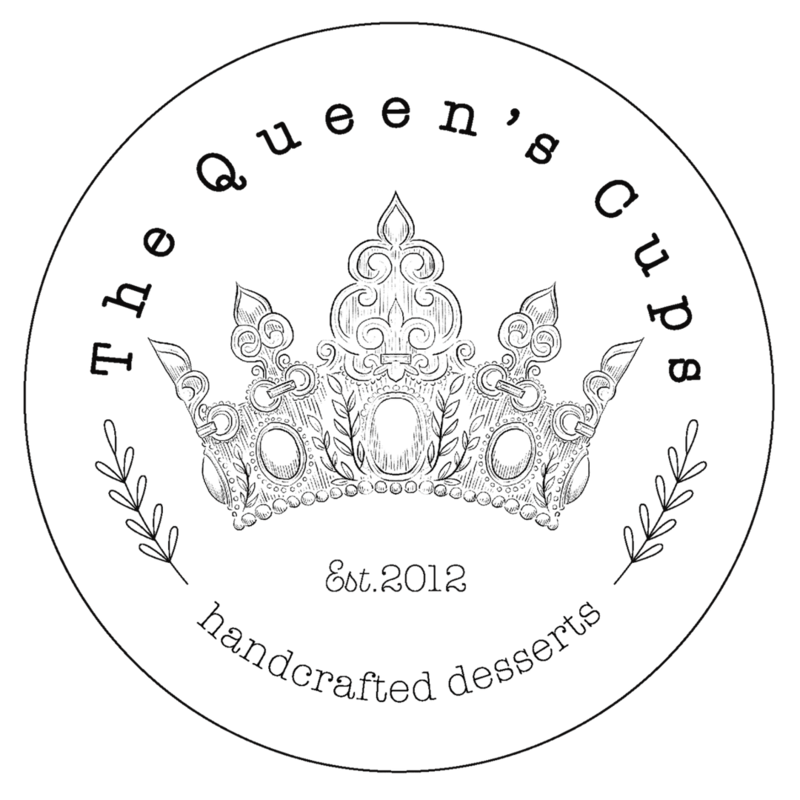 After your tasting, you are asked to contact The Queen’s Cups to officially book your event. A wedding form will be sent to you. Once it is sent back, your wedding is booked with us. Fill out what you can and then when all your RSVP’s are in, we have our final meeting to discuss everything. All dates are first come, first serve- the date isn’t reserved until we have the signed contract in hand. We only book a certain amount of weddings per day and whoever gives us their signed contract first will have precedent. There is no meeting until we are booked for the date officially. Once you have your RSVPs back is when we book the meeting to finalize everything. The meeting should be booked one month before the big day, or whenever you receive all of your RSVPS. Payment in full is due the week before the wedding, preferably at the last meeting. Delivery and set up only offered within a 45 minute radius & price dependent on distance & time of travel. Stand rental available for $50, and needs to be cleaned and returned within 5 days.